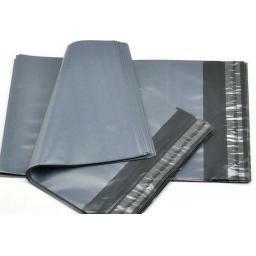 Designed for postal or courier transport, mailing bags are light, waterproof and have an integral adhesive strip. Our grey plastic mailing bags offer an ideal postal packing solution for many different items, including magazines, pamphlets, clothes and other non-fragile direct mail goods - especially as they are waterproof! Stronger than paper envelopes, these mailing bags come in a wide range of sizes.